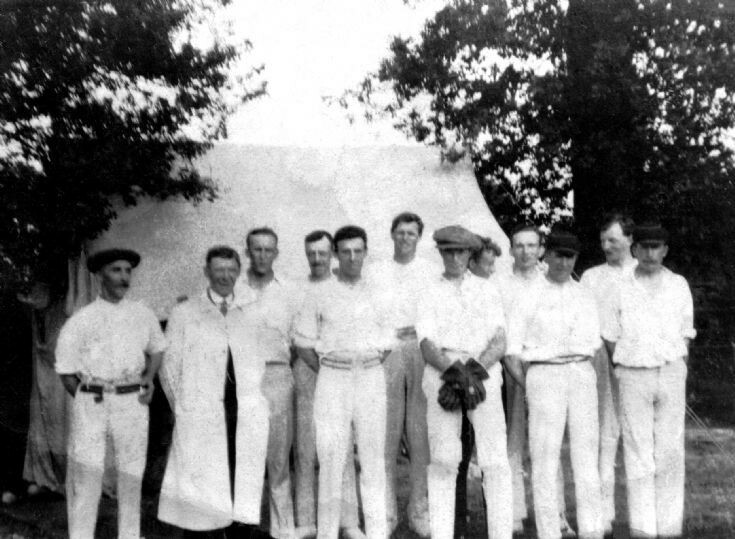 There are no other details of this poor-quality photograph of Handcross cricket team other than that my father has written on the reverse “Earliest photo of Handcross”. The date of 1900 is an estimate. It’s a shame that we do not know the names of the players as I am sure that some must have been ancestors of those living in the village during more recent years. Perhaps someone can add a name or two? Click Large version for a close up, and click on the picture to zoom in or out.